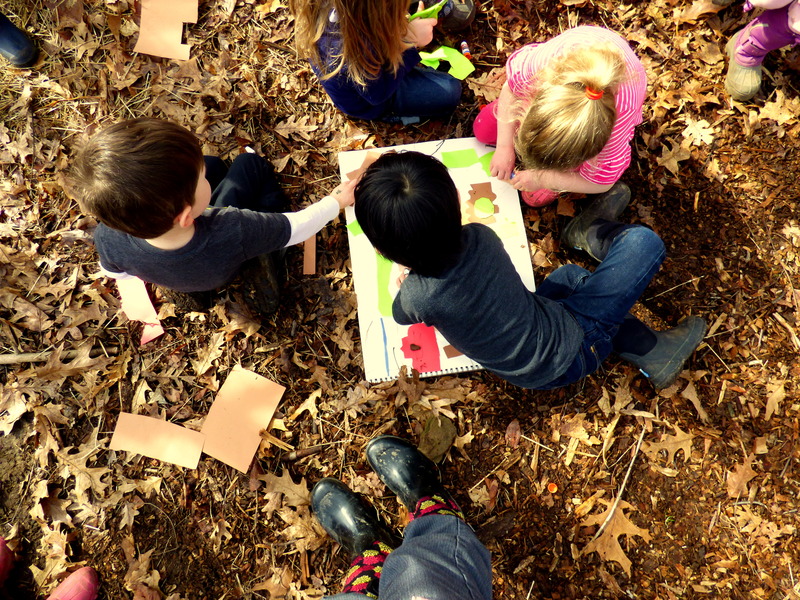 Cedarsong Nature Kindergarten is an outdoor immersion program for children ages 2-6. The children and teachers are outside, regardless of the weather, for between three and five hours per day. The week I observed, the weather showed a cantankerous spirit, pouring rain each morning. On most days, the rain abated by 3:00. Though some might think this a disappointment, I was overjoyed at the opportunity to see how the school and children would adapt. I should not have been surprised. 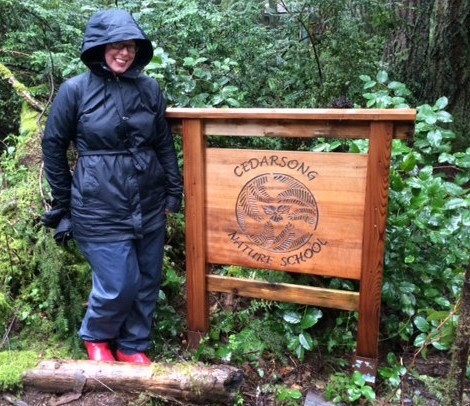 Each child arrived properly dressed in rain pants, rain coat, Bogs, and waterproof mittens. Who thought a few splashes of rain might intrude upon the learning of young children in a natural environment? 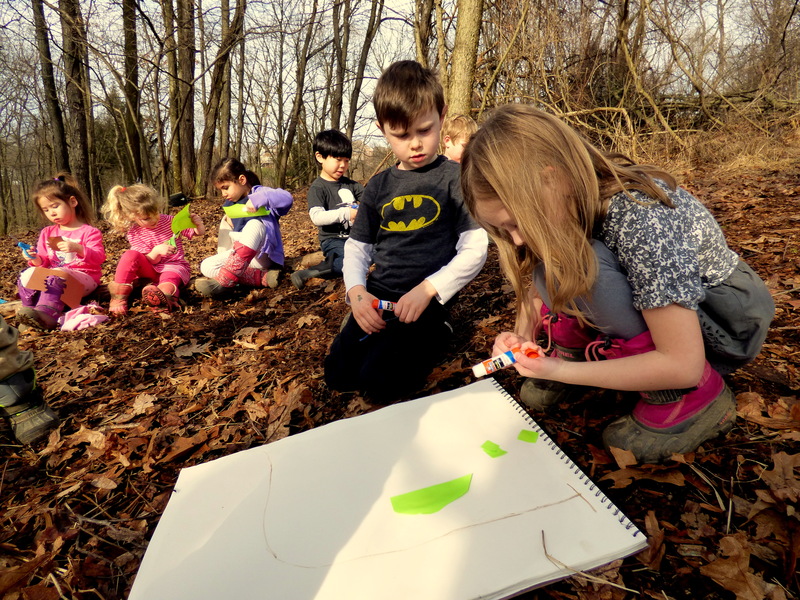 Without noticing the starting and stopping of Mother Nature’s sprinkler system, the children explored, discovered, experimented, and engaged with the world around them. Thus the most vivid lesson I bring home is a common saying. The Entry Point: This structure is used only for snack. Much of the approach and language used by Ms. Kenny and her colleagues evinced similarities with our own current WT way of working with children. The language reflectively used was reminiscent of that found in the Responsive Classroom Approach. This observation added validation to our choice of program management. 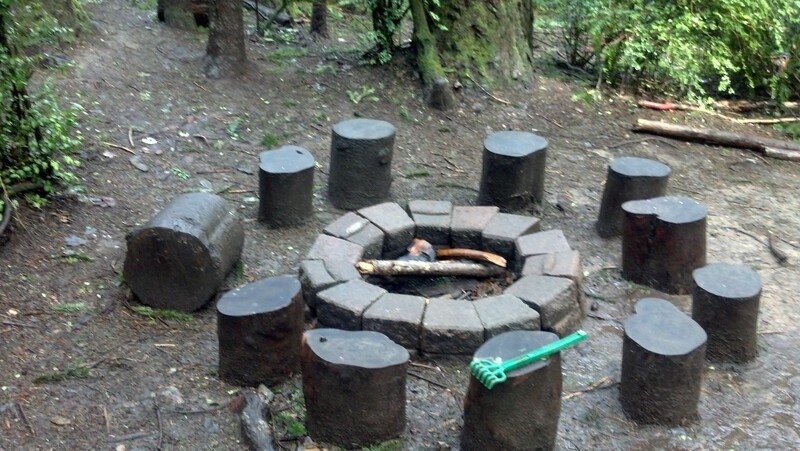 The fire pit at Main Camp. I was impressed by the children’s comfort with varying weather and temperatures. We have traditionally avoided rainy weather despite the fact that we believe it is important for children to be outside everyday. 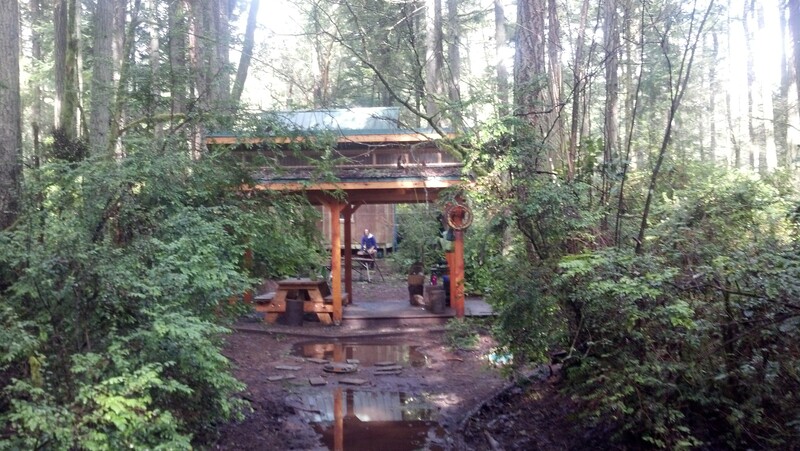 I am interested in looking toward manageable ways our outdoor classrooms can enjoy just as much use on drippy days. 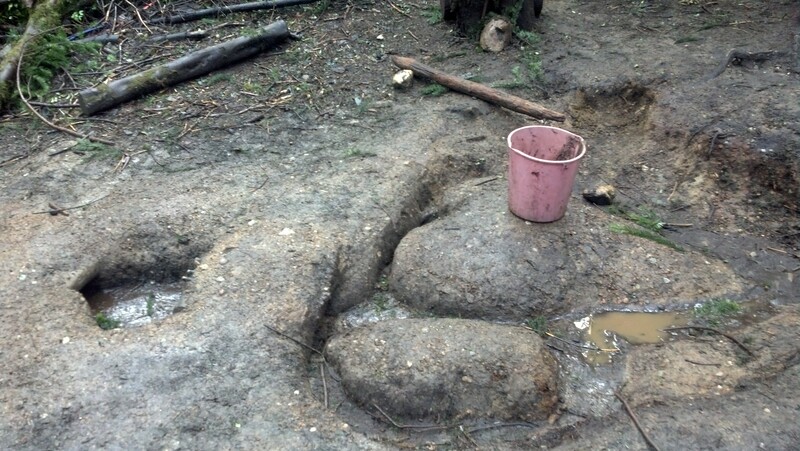 An area for digging and exploring water flow. It connects to “the mud puddle” via a tunnel. 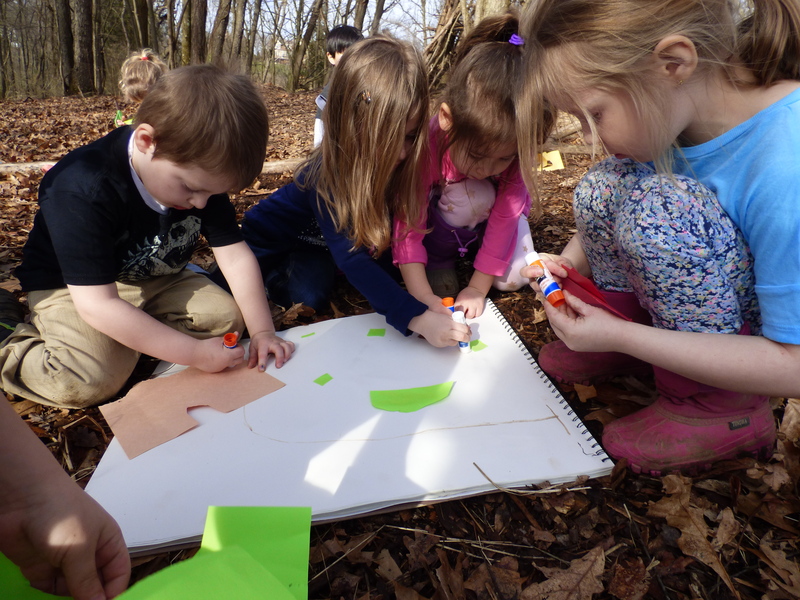 Inspiration also came from watching the children interact with a large variety of natural materials. Sticks and rocks were used as tools frequently and were always safely handled. The students had been taught from the beginning how to safely manage these often vilified items. Most of the plants in the forest were edible. The children knew how to identify the trees and bushes, knew which parts they liked to eat, and which ones would make the best tea. 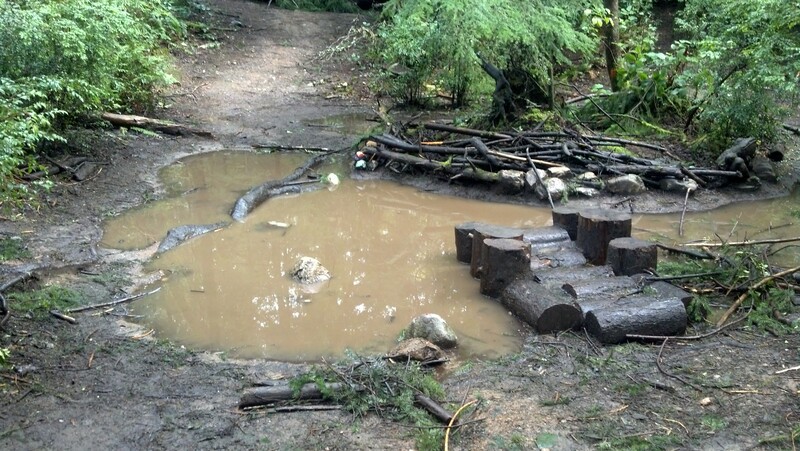 The Mud Puddle: everyone’s favorite spot for play, rain or shine. 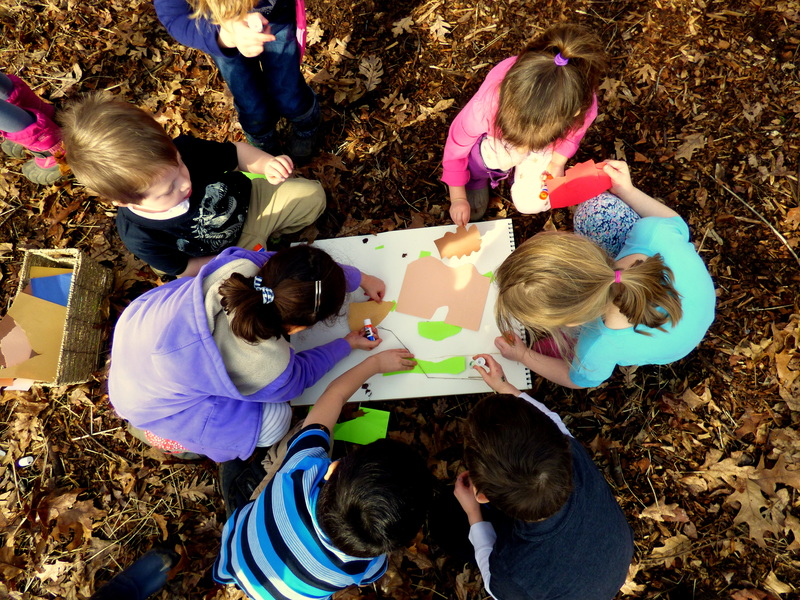 The daily flow and emergent curriculum reminded me very much of our own pedagogy at WTN PK. The lessons of self-reliance, self-regulation, and social interaction mirrored our own truths. The forest kindergarten view of “risk” is uncannily similar to my own and I hope to write more about this topic in the future. Many science, language, and mathematics opportunities occur as the day unfolds. The teachers help the children reflect and focus. The entire trip reminded me that young children are designed to learn and discover. Our job is to provide them with a rich environment for their experimentation.